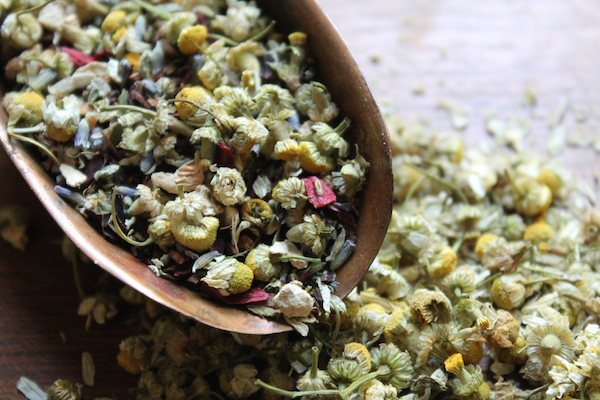 This complex chamomile based blend is the perfect tea for curling up on the couch and reading a good book. Chamomile and lavender join to form the high floral notes of this tea, while touches of honeybush, cassia, damiana and ginger add warmth, depth and texture to the flavor profile. We have found that a bit of honey works beautifully to unify the flavors in Floral Sonnets. For counter top convenience for you or a friend, buy our Floral Sonnets Gift Jar. Brewing Instructions: Brew 6 minutes at 210°F; 1 steeping. Share how you like to use Floral Sonnets!